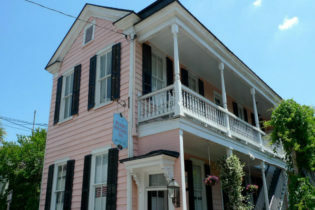 Palmer's Pinckney Inn is located in the Historic Market in downtown Charleston, South Carolina, within walking distance of various shops, restaurants, and attractions, including the next door Olde Towne Carriage Co. We offer 4 lovely rooms, all with private baths, and 2 with Jacuzzis! We serve a continental breakfast - guests are welcome to enjoy a full breakfast at our sister property, the Palmer Home, for a small fee. We are pet-friendly - please inquire about our policies. For a classic Charleston experience, book a room at the pet friendly Palmer’s Pinckney Inn. The home is convenient to numerous shops and restaurants, and is next door to the Olde Towne Carriage Co. Located in the Historic Market of downtown Charleston, we provide 4 guest rooms with private baths. 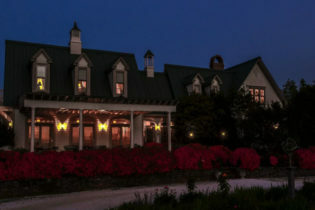 Welcome to Pettigru Place, a premier Bed & Breakfast in charming Greenville, South Carolina. Our breakfast is a true experience - much more than just a quick bite. Spend the night in one of our elegant rooms featuring luxury amenities including fireplaces and claw-foot tubs. While you're here, explore Greenville's beautiful Main Street/Downtown area with its boutiques, restaurants, museums, galleries, and special events outdoors and at the Peace Center for the Performing Arts. Pettigru Place Bed & Breakfast House is nestled in the heart of downtown Greenville, SC. The inn is located in the famous Pettigru Historic District, perfect for a romantic getaway. Pettigru Place features beautifully appointed common rooms, six elegant guest rooms, and a peaceful English garden. Our location is within walking distance to all the downtown attractions. This Myrtle Beach Bed and Breakfast is a quiet, romantic getaway just 300 yards from the water. The Serendipity Inn is conveniently located close to Myrtle Beach entertainment, shopping, and, of course, the beach! All our accommodations, from queen-size rooms to King Suite apartments, have private entrances and private baths, cable TV with DVD player, and free WiFi. On-site pool and hot tub. Large continental breakfast served daily. Ask about adjoining rooms. 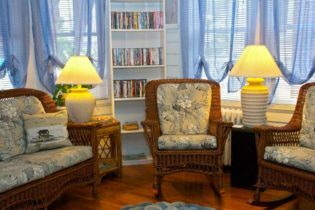 Relax, renew, and release at the Serendipity Inn, a continental Bed and Breakfast in Myrtle Beach, South Carolina. Just 300 yards from the beach, Serendipity is close to all area attractions and fine dining restaurants. The fun in Myrtle Beach always starts near the water – sixty miles of sandy beaches offer a wide variety of water sports, shell collecting, and an opportunity to just lie back and rejuvenate body, mind, and spirit.